Early in 2018, Edmund Amorisi of Smith Pachter McWhorter PLC and and Bill Walters of Dixon Hughes Goodman LLP presented a comprehensive summary of the key provisions of the FY 2018 NDAA. As they explained, Sec. 802 emphasizes DoD’s ongoing interest in intellectual property issues. It directs DoD establish a “cadre of intellectual property experts” to “ensure a consistent, strategic, and highly knowledgeable approach to acquiring or licensing [IP] by providing expert advice” to the acquisition workforce. Sec. 802 also authorizes DoD to contract with a private-sector entity for “specialized expertise” to support the cadre. Currently there are FAR and DFAR provisions to protect intellectual property, both the portion that the government should own after something new is developed, and the portion that the contractor brings to the table. However, this expertise does not exist in the regular contracting workforce. So this provision really goes into detail about intellectual property and directs the DoD to establish some intellectual property expertise that they can use. 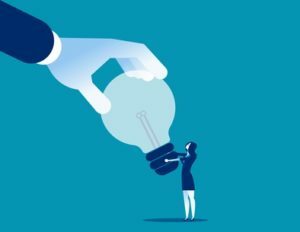 Any company with an innovation will have a real issue about bringing their innovation into the contracting community because they may not be properly protected to keep their IP. Too often contractors don’t pursue their innovative ideas because they don’t want their innovation to become the property of the government. So this provision is really about allowing innovation to play a part, and that’s a very good thing.